A lot of online entrepreneurs seem to be having trouble finding potential customers who will buy their services or products nowadays. Well, the main reason behind this problem is the fact that most of these entrepreneurs do not generate a lot of leads through their blogs. Although having leads on social networking pages is good, blog leads are actually much more powerful in the online world. 1. 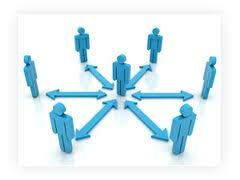 The first thing you need to do in order to generate blog leads would be to find out who your target audience will be. After all, they are the ones who will influence your work in the long run. So, before starting your marketing campaign, try to figure out who you want to market to, and think about their problems and goals. 2. The next thing you need to do is uplift and update your blog. If you want to turn your blog into the main hub where people can find you, then you have to make sure it is always at its best - remember that. If you want to attract even more people, one good suggestion would be to give out free gifts in exchange for their personal information, like their names, phone numbers and email addresses. E-books, video tutorials and reports would be great freebies to give. Just make sure that your target audience will find them useful. 3. Of course, having a blog in itself will not do you any good unless you create valuable content, too. So, once you have targeted your market segment, pick out several of their most urgent problems and try to get certain keywords from them. Then, do some research on how to directly drive traffic from online search engines onto your blog through these keywords. Ideally, you should focus on long-tailed keywords, though, since they won't have as much competition out there as short-tailed keywords do. 4. Once you find several good keywords to use, it would be time for you to create valuable content for your blog. Be unique and make sure your content is always valuable. If you succeed at doing so, then you will never have trouble getting blog leads anymore since your customers will just keep coming back on their own - believe it. 5. If you want to get even more traffic later on, then you can try getting several backlinks, too. Just comment on other people's blogs or submit your own onto various search engines to get them. Yes, with all of the methods mentioned above, you will have no trouble generating blog leads in no time and building up a list of customers out of them. However, you shouldn't forget to build relationships with your new customers, either; they are sure to appreciate it. Good luck!